Armed with powerful sound technology that delivers high quality audio and a seek design. 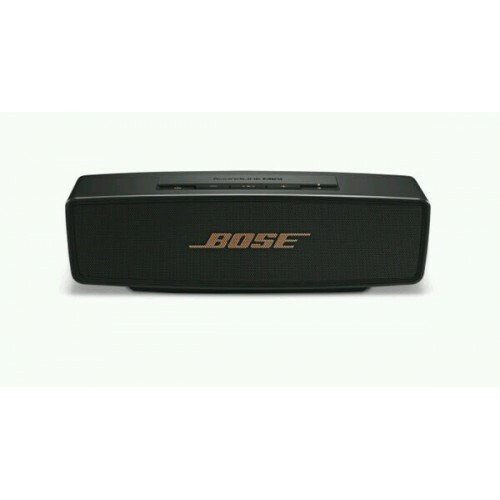 The boss sound link mini II wireless bluetooth speakers are an ideal pick for all music lovers. It comes with an effective bluetooth feature that offers seamless connection without any need of wires. The body of this speaker is made up of strong and reliable aluminium casing that provides strength and makes it highly durable. Deep bass with powerful audio output and optional soft covers. The boss speakers are armed with cutting edge sound technology that produces high quality sound. The enriched deep bass feature enables you to enjoy crisp audio. thus, you can experience louder sound beats without any compromise in the sound quality. The enhanced sound throw feature offers a well-balanced audio experience. The optional soft covers of this device allow you to choose the colour of your choice and give this speaker a personalized touch.